Tired of costly travel? 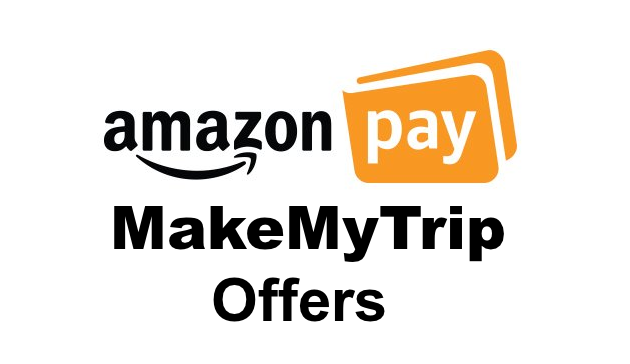 Don’t worry, Amazon pay MakeMyTrip offers for April 2019 are unbelievably savvy for flights, hotels and bus bookings, avail great discounts and cashback, book today! 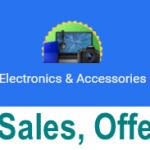 April 2019 is full of amazing deals and offers brought to you by the amazing collaboration between Amazon Pay and Make My Trip. The moguls have joined hands in an endeavor to find you the most suitable discounted deals on flights, hotels and bus transfers to name a few. You can now plan your dream summer vacation while benefitting from the unbelievable prices Amazon Pay Make my Trip offer you! There are exciting cashback offers too that you can avail if you make your bookings with them right now. Covering several interesting destinations across the world, these experts will guide you right from the start to the end, to make your holiday dreams become a reality while all you need to worry about is carrying enough sunblock! Not convinced yet? Have a look at some of these incredible offers yourself. Specially keeping in mind your travel requirements, MakeMyTrip and Amazon have curated the best deals that will help you save time and money. How confusing can finding the right flight be? So many websites, so many misleading commercials, so many fine prints which make you pay more than you bargained for! Well these will all be a thing of the past, when you see how simple and cost effective these deals are. See for yourself and grab these offers instantly! One of the most trusted names when it comes to flight bookings, MakeMyTrip and Amazon Pay want to give you all the more reasons for domestic travel. Offering a 7.5% instant discount on domestic bookings, (up to 750 INR). Besides this you get an addition 7.5% cashback, which could be up to 750INR if you choose Amazon Pay for your bookings. Use the coupon code MMTAMAZON to avail this exclusive MakeMyTrip amazon offer on domestic flights. Why fly overseas without huge discounts? Flying overseas can be stressful when you make bookings, because you can’t be sure enough that you’re getting the best deal. With compared prices from several websites across the world, MakeMyTrip brings to you exclusive offers for international flights to several destinations across the world. Bringing you another one of their unbeatable deals, MakeMyTrip Amazon Pay offers as much as 7.5% discount which could be upto 10000 INR. Besides this, they offer a cashback of INR 750 if you trust Amazon Pay to make your international flight bookings. Simply remember to use coupon MMTAMAZON and make sure that you make payments via your Amazon Pay account. 2 – Looking for a good hotel? Well you don’t need to spend a fortune! One of the most essential parts of your holiday is the accommodation that you choose for your visit and it is easily what you spend most money on too. Haven’t we all had terrible hotel experiences and are always skeptical while making our bookings? Aren’t we all looking for feasible deals that can help us save time and money while eliminating the room for error in terms of the quality of the accommodation? MMT assured hotels offer you the best services and amenities, ensuring that your trip is relaxing and comfortable. Imagine saving big on your hotel bookings, domestic as well as international! Looking for your favorite hotel while travelling domestic is no problem anymore! You don’t have to spend uncomfortably high amounts of money for hotels! MMT Amazon pay offers a maximum of 40% discounts that amount up to you saving as much as 10000INR. But wait there’s more! You can receive a cashback of 7.5% amounting to as much as INR 750! Traveling overseas can be expensive if you don’t know where to look for the best offers and deals. Imagine how stress-free you can be on your next international trip for work or travel if you know for a fact that you are making big savings on your hotel bookings. Choose the MakeMyTrip Amazon offer and get unbelievable savings of upto 30000INR or 30% discounts. But that’s not all; you can get additional cashback of up to 7.5%, Upto INR 750 on your bookings. All you have to worry about is how you’re going to spend your time here, with your friends and family while the Amazon Pay MakeMyTrip offer helps you make massive savings on your bookings. 3 – Bus bookings at major discounts! Bus journeys are full of nostalgia, sight-seeing, snacks and music! What if we tell you that now you can earn great cashback as well as make savings on your bus rides too? Book your bus tickets with great discounts. You can avail a Flat 10% instant discount that could be up to INR 60. Besides this, you can earn additional cashback up to 7.5% or INR 750! Too good to miss, right! Just remember that these offers are valid only when you make your bookings via Amazon Pay. How can you claim this MakeMyTrip Amazon Pay offer? Surprisingly, there isn’t a long process for you to avail your amazing Make My Trip Amazon Pay discounts and deals! All you have got to do is follow these 5 steps and avail your discounts and cashback! Step 3 – While booking bus or flights, you need to use coupon code MMTAMAZON to avail the instant 7.5% discount. However, the coupon code is not required for hotel bookings. The discount here will be applied automatically. Step 4 – While making the payment, ensure that you choose Amazon Pay as your payment option to avail these lucrative discounts and cashback deals. Step 5 – You will instantly get your discount when you apply the coupon code and make your payment from the Amazon Pay wallet. Besides this, you will receive an instant 7.5 cash back in your Amazon Pay account! Pack your bags; make your travel dreams come true! While there are several websites and agents looking to confuse you and lure huge amounts of money from you on the pretext of finding the best hotel and flight deals, Make My Trip gives you the power to make your own bookings according to the offer that you think is the savviest. MakeMyTrip and Amazon Pay ensure that you make savings and get cashback on each and every booking that you make, whether it’s your domestic and international flights, hotels or your bus bookings. All you need to do is make sure you remember to pay using only your Amazon Pay wallet. April 2019 is an excellent month to plan a great summer holiday and you should start booking right away!